Most of the mobile device users have a preference for one of the most popular operating systems: iOS or Android, but it also happened many times that they jumped from one to another. 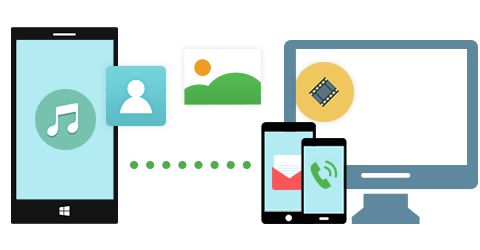 The important data transition seems complicated, for example, users who decide to get iCloud Email on Android will struggle to find a solution. Good news here, even if you are not an IT expert, if you follow our steps, you should be able to do it properly. Furthermore, it is important to enter all the information we provide you just as you see it here, in order to avoid and errors or other issues. 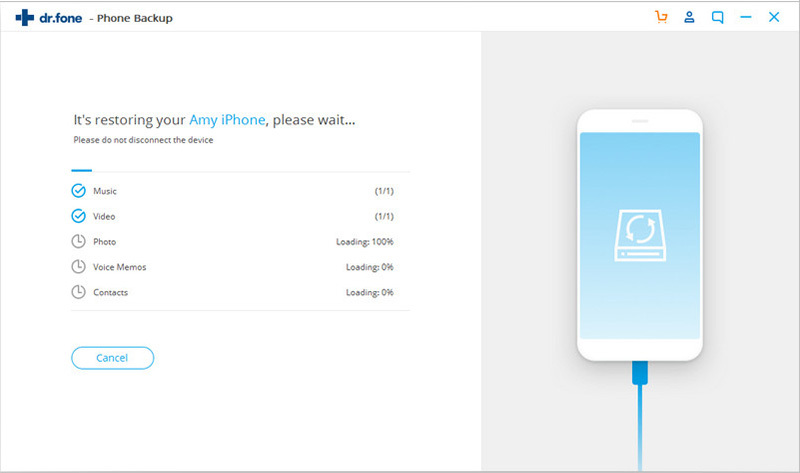 Step 1: Install and launch iSkysoft Phone Transfer. Go to "Restore From Backups" > "iCloud". Step 2: Connect the Android device to your computer. Step 3: Sing in iCloud account and select the contents you want. Click "Restore" to start the transfer. On your Android phone or tablet, open the stock Email client. 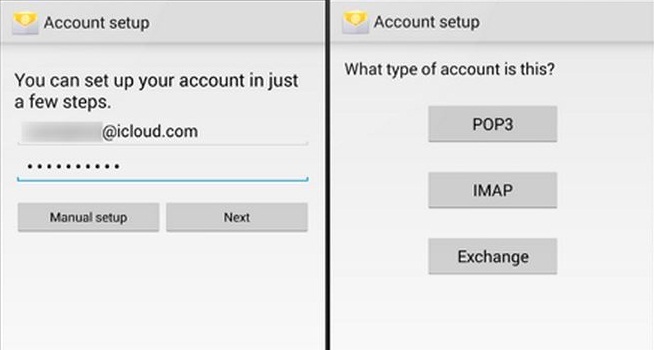 The steps we are introducing here actually work on many other third-party Play Store email clients. Once you have entered the email client, you must enter your iCloud username and password, the ones you have been using on your iOS device. Simply check the screenshots and try to do the same. The next thing you must do is to tap on the "Manual Setup" button, and then on "IMAP". You will also see that the certificates are set to "SSL". If they are not, set it to "SSL". If you see any type of error, try to set the certificates to "TLS" instead. When you are ready, just press the "Next" button. Again, check if the certificate is set to "SSL" or "TLS". This is it! 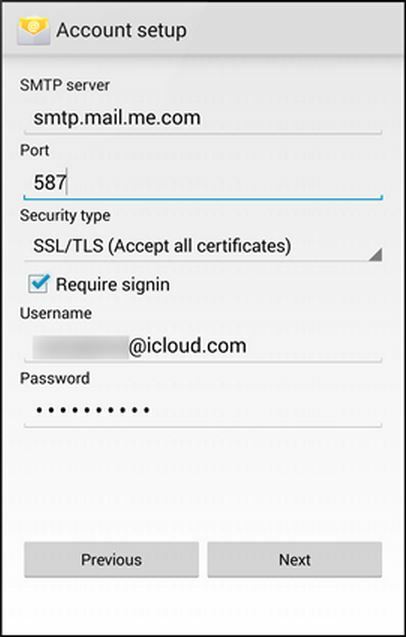 You just finished setting up your iCloud email account on your Android smartphone or tablet. 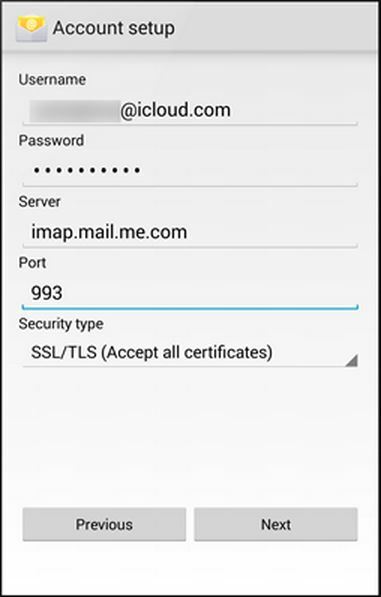 You should be able to run your iCloud email account on Android with no problems, and have full access to your iCloud storage. It is important to keep in mind, in case you have any problems with the certificates, to switch between them, because all of them are accepted. Pay attention when you set up both the IMAP and the SMTP server. 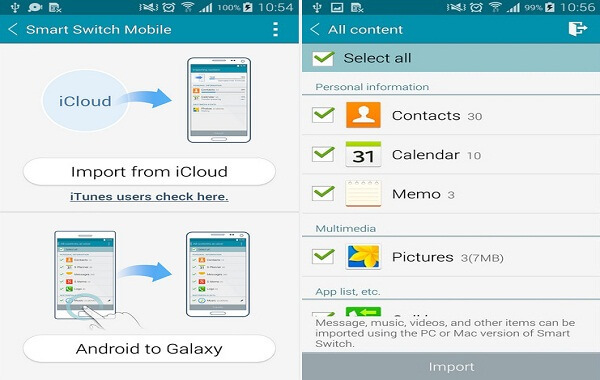 If you are a switcher, don't panic you lose all the cool stuff from iCloud once you moved to Android. There are always options to use the applications you liked. However, you must pay extra attention when you configure it on your new device, but if you follow our steps provided here, you should not have any problem. If you are not sure about it, ask from some help, or drop a line in the comment section bellow.